Please take a moment to visit our active campaigns page. In partnership with the Education International, a global union federation of 396 associations and unions in 171 countries and territories, representing some 32.5 million educators and support professionals. 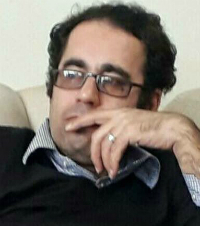 Iranian teacher trade unionist Mohammed Habibi was sentenced to ten and a half years in prison on 4 August 2018. The sentence by the Iranian Islamic Revolutionary Court also included prohibition of social and political activities for two years, a travel ban of two years, and 74 lashes. A member of the Iranian Teachers' Trade Association of Tehran, Habibi is one of many independent trade union members harassed by Iran's public authorities for pursuing their legitimate activities. He was arrested in May during a peaceful protest and has since been held in detention under unbearably harsh conditions. Family members who visited him in prison reported that he had been severely mistreated. Public authorities continue to deny him the urgent medical support he needs. We need your urgent support to call upon the Iranian authorities for Habibi's immediate and unconditional release. To participate in our other online campaigns, visit our active campaigns page. You can have this live listing of online campaigns on your union's website - click here to find out how.